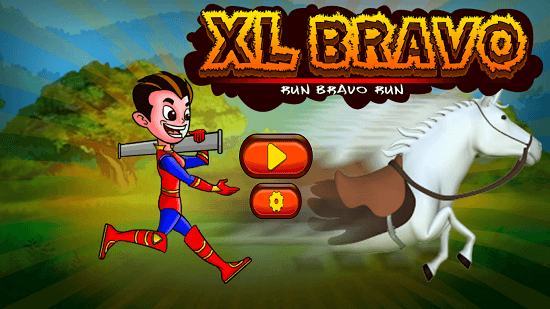 XL Bravo is a free running game for Windows 8. When you launch the game, you will brought to the main menu, wherein clicking the Play button will take you to the game’s store. 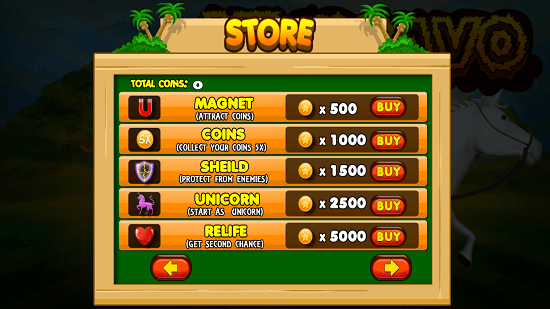 Here, you can choose to purchase certain powerups which will enable you to perform better in the game. 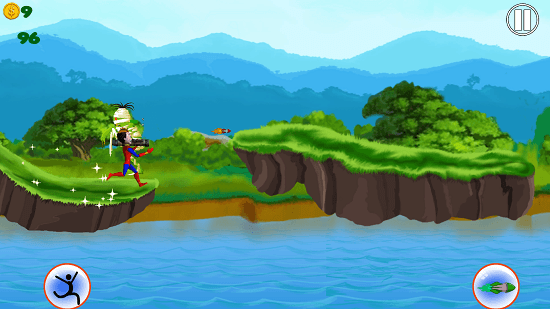 The game allows you to play as the main protagonist who has to jump over flying hills and shoot the monsters on the way. The game is lightweight and is worth a download if you are looking for a good way to while away your time. XL Bravo is available for free from the Windows App Store. When you install and run the game on your device, you will be presented with an interface which looks like the screenshot below. Just click on the Play button above and you will be shown the store screen where you can choose but powerups which you can use to perform better in the game. You can purchase powerups with the coins that you earn in the game. To proceed to gameplay click on the arrow button at the bottom right. 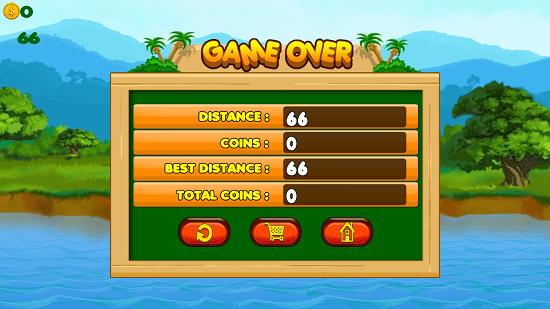 The gameplay screen is shown below. You can shoot monsters with the bomb button at the bottom right and you can jump via the jump button at the bottom left. You can also use the up arrow button to perform a jump. When you fall from the hilltops, it’s game over. This winds the features of XL Bravo for Windows 8 and 8.1. XL Bravo makes for a good download on devices with Windows 8 or 8.1. You can get it from the link below.